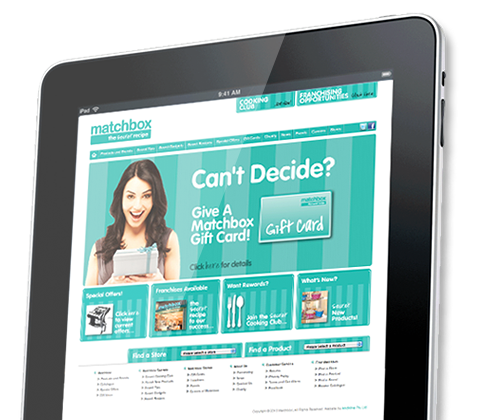 Among many other businesses, Matchbox, BRW Fast Franchise 2013, 2012 and 2011 trust us as their Digital Agency – to run their show online and help them achieve business success and accolades. From CMS to fully integrated eDM, marketing and strategy, we leave no stone unturned to ensure they stay ahead online and offline. For example, start searching for Matchbox’s in-store brands and you will quickly learn how we are busy dominating keyword results for the home-wares market via an array of AndMine’s SEO services. Go on, see if you can challenge us on "eMarketing Partnerships" - Part of our 159 services at &Mine. We are quick to respond but if you want to go direct, test us during office hours.